A campaigning mum who lost her son in a bike accident is fighting to get motorcycle awareness included in the driving theory test. 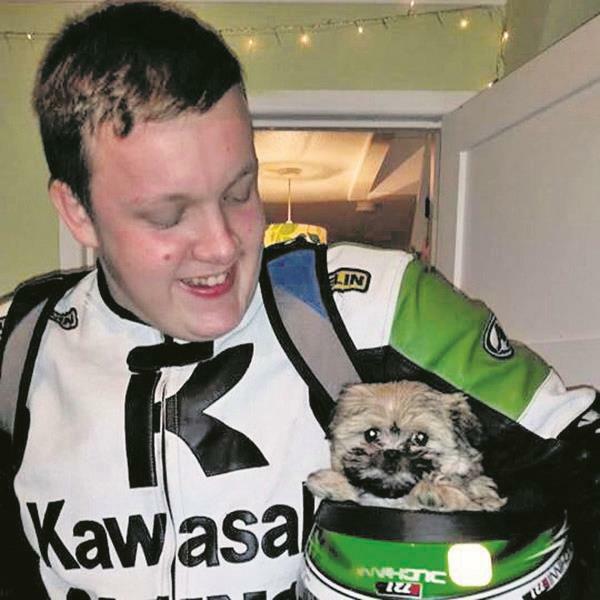 Nick Brisland was 19 when he died in an accident while riding to a local bike meet. He was killed instantly when he swerved into oncoming traffic as he tried to avoid a driver who had pulled put of a drive. However, the Crown Prosecution Service declared that there was insufficient evidence to prosecute in this case. Inspired by an annual rideout in Nick’s memory, from Southampton to Loomies bike cafe, Ria decided to launch a campaign to have the driving theory test include a compulsory section on motorcycle awareness. She set up a petition to present to the Transport Secretary, Chris Grayling MP. It has had over 120,000 signatures and she was at Loomies last weekend collecting more signatures for the petition. “The support has really surprised me. As well as this campaign, we’ve also set up the Nick Brisland Trust, which is raising money to install roadside defibrilators and I’m going into schools so that children learn to look out for bikes from an early age. That’s going well, too.” Once the petition reaches 150,000 signatures, Ria intends to hand it to Grayling in person. Transport Secretary, Chris Grayling MP, has agreed to meet Ria within in the next few weeks with a view to changing the theory test to include motorcycle awareness.